St Patrick’s Day is a special day at the Cheltenham Festival and one of the main races on the Thursday is the Ryanair Chase. 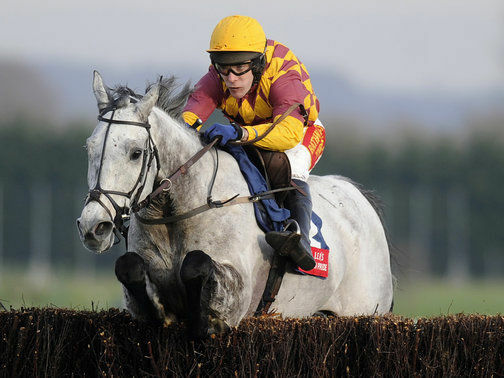 One of the talking horses of this year’s Cheltenham Festival has been the David Pipe-trained Dynaste, who has been tipped up by many shrewd pundits in the build up to this year’s four day extravaganza. As a novice Pipe’s talented jumper went into the 2013 Festival as supposedly one of the bankers of the meeting. He landed the Feltham Chase in a quicker time than Kauto Star achieved in the King George on the same card and went off 11/8 to win the Jewson Novices Chase. However, he was outgunned in the closing stages after looking like the winner with two fences to jump but his tank emptied as he could only finish second behind Beneficent. He put those fears of his ability to fully stay three miles when winning at Aintree and then put in a bold showing on his seasonal reappearance when third in the Betfair Chase behind the very impressive Cue Card. His next run in the King George was very poor, finishing a wayward fifth at Kempton where he looked in trouble a long way out. With the ground drying and the trip seemingly in his favour there has been smart money around for his chances in the last week. The 7/1 has all gone and he is now the market leader at 9/2. One horse that should give him a huge run for his money though is Cheltenham specialist Al Ferof, who has won a Supreme Novice Hurdle (beating Sprinter Sacre and Cue Card) and a Paddy Power Gold Cup at the track. A Gold Cup bid has been put on the backburner due to his poor showing in the Denman Chase last time out and you would think two miles five furlongs would be right up his street, especially with Ruby Walsh likely to ride. First Lieutenant will also be hard to keep out of the first three. Mouse Morris is a very shrewd trainer from Ireland and places his horses extremely well. In terms of form, he probably brings the strongest line from any of the market leaders, after he chased home Bobs Worth in the Lexus Chase. Additionally, he has never finished out of the first two in three runs at the Festival, beating Rock On Ruby in the Neptune in 2011.